Welcome to the lifesaving partnership between A Life to Live and Doobert. Jay Garrett, Jr., founder of A Life to Live, and I, owner and creator of Doobert.com, are very excited to collaborate to simplify and support your efforts to save lives. Doobert connects animal rescue and welfare organizations with volunteers around the country through lifesaving technology that provides a simple and easy-to-use transport coordination software system. 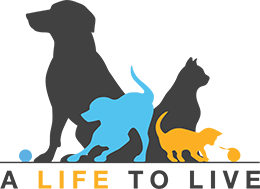 By joining our teams, you can help maximize local and national efforts to save pets in need of transport to a loving home. If you have any questions, problems, or would like a personal demo of how Doobert works, please don't hesitate to reach out to our technical team. Simply click the help and support icon, or send me an e-mail to [email protected]. We're here to help you fulfill your passion of serving pets and people in need. Thank you for what you do, and welcome to Doobert.